Serenes Forest Teams Up with Reddit for Extra Life 2018, Starting in 12 Hours! 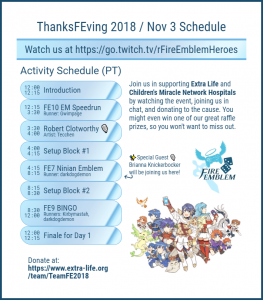 Denizens of Serenes, if you recall last year’s Extra Life event, and were craving more, well look no further than this post, as we’re about 12 hours away from Team FE’s Extra Life 2018 event! If you have no idea what I am talking about, then listen up! 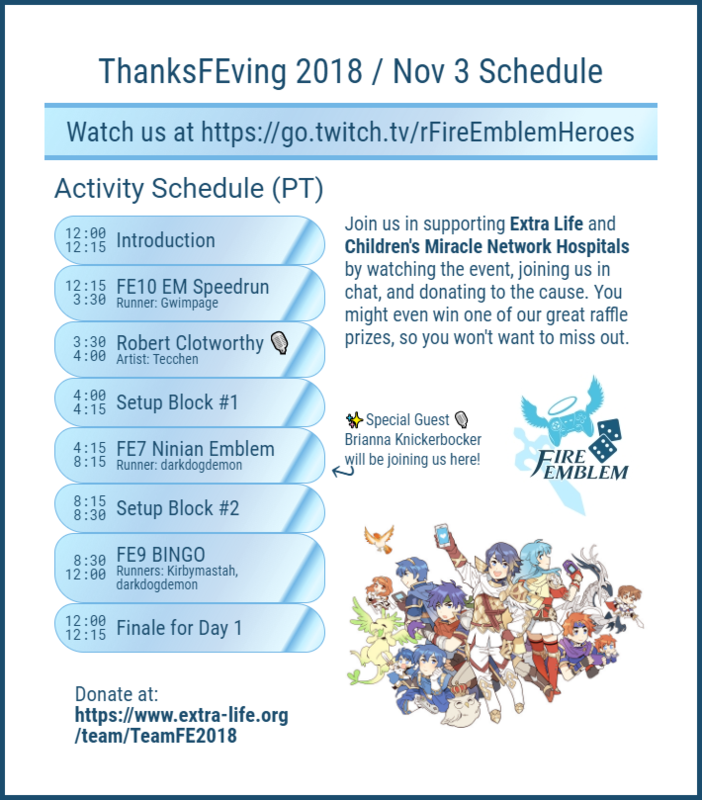 Myself and others here at Serenes Forest, as well as Reddit’s r/fireemblem and r/FireEmblemHeroes, have teamed up again to create TeamFE to raise money for Extra Life, which helps support Children’s Miracle Network Hospitals across the U.S. November 3rd is Extra Life’s official “Game Day”, which we ran during last year, but after seeing the positive input from both participants and viewers, we decided to throw that one day idea out the window, and come back harder, with four 12-hour shifts of Fire Emblem, spanning across each Saturday in November. As mentioned above, our first day kicks off super in just about 12 hours! 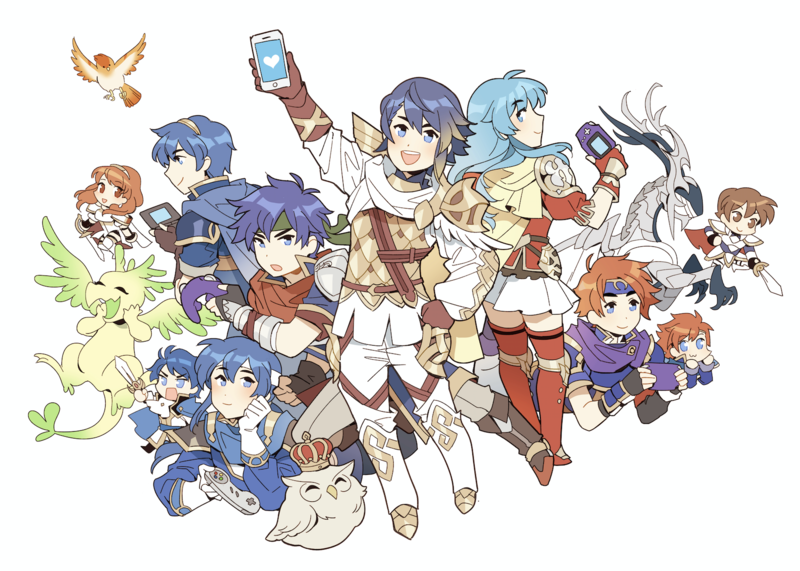 On the 3rd, we’ll be joined by Brianna Knickerbocker (voice of Sakura, Ninian, Charlotte, Est) and Robert Clotworthy (voice of Black Knight, Zelgius, Finn), as well as showcasing gameplay from Reddit mod /u/DarkDogDemon, as well as two big names in the Fire Emblem gameplay community, Kirbymastah and Gwimpage. What are we bringing? Three Fire Emblem games, including one that’ll be sure to garner the attention of Ninian fans. What about the other days? 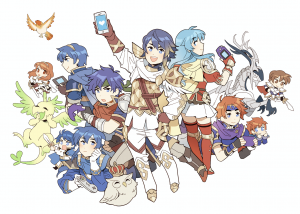 We’re still ironing out a few things, but I can assure you that there will be quite a bit of voice actor presence, a great variety of games, and even some appearances from other players that you yourselves may recognize, such as AbdallahSmash, PheonixMaster1 and Kyle McCarley (the voice of Alm). This doesn’t even cover the prizes, which includes (but is not limited to) a pretty pile of Fire Emblem Cipher cards,, Cipher box sets, and even artwork donated by Fire Emblem Heroes artist Soeda Ippei. You won’t want to miss it! 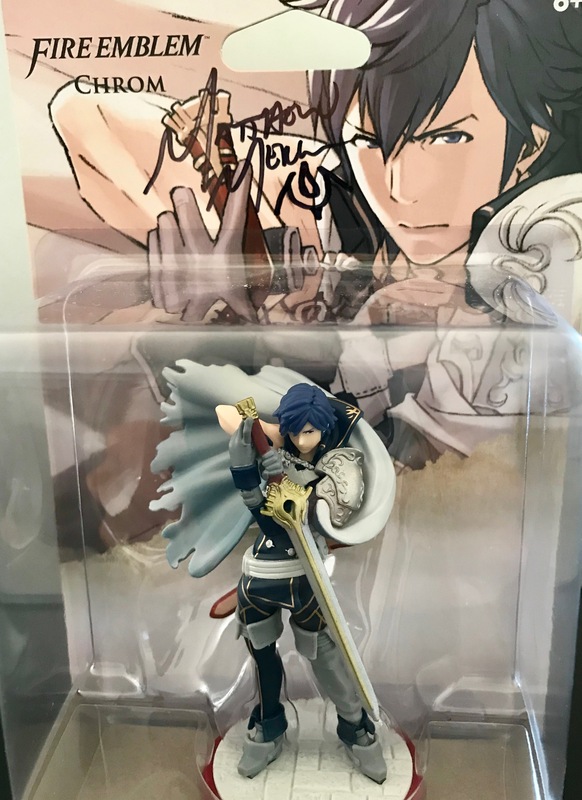 Yep, that’s signed by Matt Mercer himself. If you’re wondering how prizes will work this year, or want some more details on the event, keep reading! You can find more about Extra Life here. You can read the first Reddit post about this year’s event here. You can find Reddit’s first blogpost about the event here. Prizes this year are being handled somewhat similarly as last year. If you donate $50, you gain 5 entries into the $10 prize, 2 entries into the $25 prize, and 1 entry into the $50 prize. If you donate $150, you gain 15 entries into the $10 prize, 6 entries into the $25 prize, 3 entries into the $50 prize, and 1 entry into the $75 prize. The $10, $25, and $50 prizes change on each day of the event, and entries for those prizes do not carry over between event days for those prizes. If I was to donate $40 on the 3rd, and $40 on the 10th, I would be entered into winning the $75 prize that was available on those two days. If I was to donate $40 on the 10th, and $40 on the 17th, I would not be eligible to win the $75 prize that was available from the 3rd to the 10th. A user can win only one prize per day. For example, if I was to win the $25 prize and the $10 prize, I could only receive one of the two. If this happens, you will be allowed to choose which prize you desire. A user can win from only one entry. For example, if I have 10 entries, and 3 of them are winners, I can only receive the prize once. $75 prize winners must have a North American shipping address in order to receive their prize. You can donate on our team page, which can be found here. Expect some, if not all, of these voice actors to contribute to the event in some way, be it by way of gift, interview, or more. Finally, if you’re curious about a rundown of what to expect for future days, then keep your eyes our for out official schedules, posted by Wednesday/Thursday of each week (depending on your TimeZone). As a heads up, we’ll be featuring older games, such as Fire Emblem Tracia 776, and well known games, such as Fire Emblem Fates (not just one of them), and Fire Emblem Warriors, as well as the Japanese-exclusive Berwick Saga (translated into English**), Super Smash Bros for Wii U (with at least one world-ranked Smasher on stream with us), and of course, Fire Emblem Heroes. I’ll just say now, that the 10th has an incredible variety of appearances and activity. If you have any questions, feel free to contact myself in a reply here, on Serenes Forest’s PM system, by way of Reddit DM at /u/Elieson, or through Discord, at Elieson#4395 and I’ll try to get back to you ASAP. *These are all anticipated. There may be more that are not listed. **The translation is not completed, this will be a showcase of what’s been done.